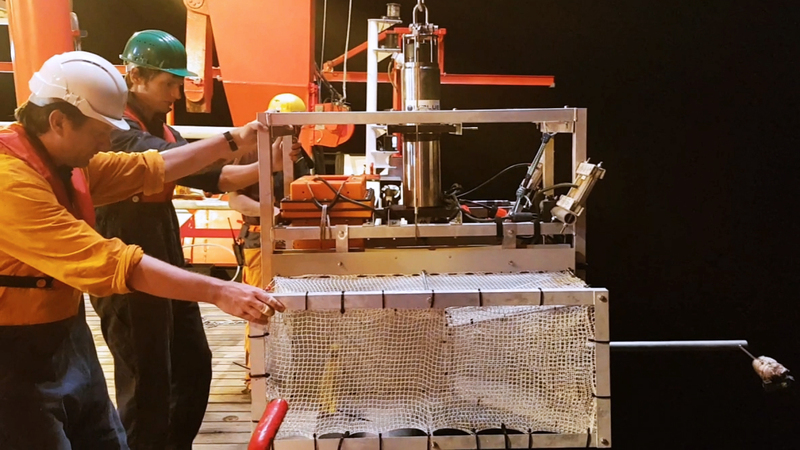 To celebrate #WorldOceansDay we hear from Dr Alan Jamieson and Dr Thom Linley about their most recent exciting discoveries in the deepest parts of the Pacific. We live in a time where the marine environment is rarely reported in the media without mention of the negative impacts of human activity. As important as this awareness is, we must be conscience that it does not overshadow the beauty and splendour of the oceans and the fascinating research being done in science and exploration. One of the last great frontiers in marine science are the deepest places on Earth, the Hadal Trenches, mostly located around the Pacific rim in areas where tectonic plates collide and plunge the seafloor to depths close to 11,000 metres (~7 miles). At Newcastle University, we have been pioneering technology for the exploration of these ultra-deep environments and have to date completed nearly 250 deployments of their ‘lander’ systems. Recently we embarked on an expedition on board the German Research vessel Sonne to the Atacama Trench in the SE Pacific off the coast of Peru and Chile where we deployed our baited camera system 27 times across the depths of the trench including the deepest point, Richards Deep, at just over 8000 metres. On our previous missions the group have amassed multiple successes such as obtaining the first ever video footage of fish in the hadal zone (greater than 6000m deep), and video the deepest living fishes in many Pacific trenches and more recently, described the deepest fish in the world. These record breaking fishes are of the Liparidae family, commonly known as snailfishes. They are small, semi-transparent, pink in colour with small black eyes and do not conform to the preconceived stereotypical image of what a deep-sea fish should look like. In fact they look and behave a lot like their shallow water counterparts, some of which can be found in estuarine systems, even the River Tyne. The Atacama Trench expedition produced a wealth of new information about the species inhabiting these extreme depths which is also interesting in that the trench is very isolated from the other Pacific deeps, by ~12,000 kilometres of deep sea floor. Perhaps the most fascinating result of the latest expedition was the discovery of three new species of snailfish living between 6500 and 7500 metres. These species are so new they haven’t been officially classified yet and are currently affectionately known as the pink, blue and purple Atacama snailfishes. We obtained hours of footage of these new snailfish swimming, foraging, preying upon small crustaceans, and on one dive filmed all three in a single video. We also filmed some astonishingly rare footage of long-legged isopods, known as Munnopsids, which are about the size of a hand. These crustaceans have small bodies, extraordinary long legs and swim backwards and upsides down, propelling themselves with paddles on their ventral sides before righting themselves on the seafloor and spreading their long walking legs out like a spider. What species these are is unknown. The discovery of so many new species of fish and these large isopods, and capturing it all on high definition video from one expedition, is testament to the progress that is being made at the extreme marine frontiers. Discoveries like these are a reminder that the ocean is a big place and there is still a lot to learn, to find and to celebrate. For more information about the marine research that we carry out at Newcastle University, visit our webpages.